KRUZEY is the leading place to compare betting agencies in Australia. If you love a punt on the horses, AFL or NRL our betting comparison is one of Australia’s best free services out there. Our team spot checks fixed odds and promos offered on AFL, NRL and horse racing from all the major betting agencies. We also have a voting system for real users to rate their experience to help you decide which betting agency is right for you. At KRUZEY, we love a free bet but please make sure you check the disclaimers that come along with free bets as there are often many rules and special conditions when it comes to bonus’ and free bets. We recommend that you find your betting agency based on actual odds they have paid out in the past and the features that you need to help with your betting. You should treat a free bet as a bonus and enjoy accordingly. There are rules that the online betting agencies need to adhere to by laws of the state. Make sure you read T&Cs carefully. You can check our list of free bets here. Picking the best bookmaker for betting on AFL, NRL or Racing is not easy. To make it easier, why not take our betting agency questionnaire that will show you the best betting agency for you based on the things your individual profile. If you want a heads-up on which betting platform works best for you, feel free to read through our informative and insightful reviews below. In light of its 9.5 million (and more) users registered worldwide and its first-rate reputation, Unibet is considered one of the best online betting sites. Unibet has more than 17 years of experience in the digital world of betting and has established itself as a company you can trust. Once you visit, you’ll find a great line up of racing promotions. A personal favorite here at KRUZEY is the Protest Payout, where if your horse is the first to pass the post, but gets held up in a protest, you still get paid as a winner! In fact, Unibet doesn’t even skimp on AFL and NRL promotions, so you are guaranteed to have a pretty fantastic time. Wondering about top tote service? Unibet offers users a tote plus 10% service. You’ll be happy to know that Unibet also offers multiple deposit and withdrawal options according to customer preference, which makes it among the best bet site. However, the minimum deposit/withdrawal amount varies for each method. Unfortunately, at Unibet you can’t make withdrawals to your credit card. Live video streaming is also a welcome addition at Unibet where you can watch select NBA and NHL games. Overall, Unibet is a great choice for betting online and you can even try out its excellent casino games, poker and bingo range. Interested in a top-notch online betting experience and possibly the best online betting site? Look no further than BetEasy, Australia’s very own betting site. While it just arrived on the scene during 2015, it has made a great impact within its first operational year. Providing a slick layout and intuitive experience, it has won over many hearts. For starters, new members are offered a deposit bonus of up to AUD 600! Plus, whether you’re betting on thoroughbred racing or the NRL, the list of promotions is absolutely amazing. Thanks to BetEasy’s Protest Payout and Fair Go Refunds, you don’t ever have to be down about upheld protests or wrong calls. Moreover, BetEasy has a best tote or starting price service, which means punters get paid the highest starting price. BetEasy pitches various options for users to deposit their funds online. You may choose from anything between credit card to bank transfers and make a minimum deposit according to your preference. For withdrawals, you may choose the same methods including sending money directly to your credit card or bank account. While BetEasy currently live streams all horse racing through Sky racing. All in all, BetEasy has taken great measures to provide you an enjoyable betting experience. Just visit the website to find out why people name it the best betting site. Established as a proven brand, Ladbrokes is a trusted name globally. 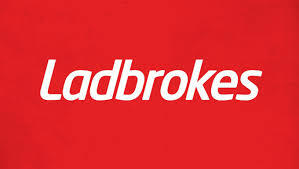 You’ll find Ladbrokes as one of the best betting sites in Australia delivering a marvelous betting experience. Why join the fun at Ladbrokes, you ask? Well, there’s the up to AUD 500 in welcome bonus, to start with. Not to mention, Ladbrokes has the betting industry’s best bet types in horse racing. Being backed by one of the biggest European bookies, Ladbrokes has pretty valuable weekly promotions and they even let you pick your own odds. They offer promotions for both race and sports betting, so you don’t have to miss on either. Funds can be deposited and withdrawn according to your preferred method, while minimum deposit and withdrawal amounts vary. On the whole, Ladbrokes is a great betting site with ease of use. Go ahead and make it your next choice to choose the best bet site. If you’re serious about betting, Luxbet offers great value. Having been around since 2008, LuxBet offers peace of mind about being secure and lets you bet with confidence. Along with its outstanding race betting products, you’ll be blown away by its AUD 150 welcome bonus. You’ll find plenty of race and sports betting options over at its new smoothly operating and fast website. Although Luxbet offers more traditional means of fund deposits, like credit cards and bank transfers, all its methods are instantaneous. So you can enjoy your funds soon after a transaction is complete. You can withdraw your winnings by the same methods also. This makes it among the best online wagering sites. When you’re fishing for the best odds, a wealth of betting options and a great reputation to tie it all up, look no further than Luxbet. The irresistible weekly promotions and the best racing specials will keep you coming back, again and again. Offering reliable service and delivering high value, Sportsbet has carved its name as a premier bookmaker online and possibly one of the best mobile betting sites. When you’re getting up to S100 in a sign up bonus, what’s not to love? You may notice regular promotions for existing customers including bonus refunds, free bets and money back deals. Don’t forget, Sportsbet has a great range of racing products and sports promotions whether you’re in the mood for horse racing or NRL. You’ll find multiple options to deposit funds into your Sportsbet account including credit cards and bank transfers. Withdrawals can be made via bank transfers or sent directly to your credit card. Still not convinced? Luckily, Sportsbet has a wide selection for live betting and streams some sports and domestic Victorian racing to help you make up your mind. Given Sportsbet’s offer of the best betting odds and a year-round variety in promotions, it’s a sure contender as one of the best online betting sites right now. Considered one of the largest bookkeeping operations worldwide and among the best bet sites, Bet365 has arrived on Australian shores to sweep you off your feet and is quickly gaining ground to become the best in play betting sites. They offer some of the most competitive products in the betting industry. Interested in quick fund deposits? At Bet365, you may pick from an extensive array of deposit methods including credit cards and bank transfers. Withdrawal methods are the same as payment methods and the minimum amount depends on your method of choice. With its fantastic horse racing promotions and great website layout, Bet365 may just fit your bill as the best site for betting. As a seasoned Australian bookmaker, BetStar takes pride in being a premier service for betting on horse races. As a new member, you receive a welcome bonus matched up to AUD 100. Although not on the same scale as larger bookies, regular weekly promotions promise to deliver great value for existing BetStar members. Not to forget, BetStar has some of the finest fixed-price odds for various racing and sporting events. While BetStar does live stream certain sporting events, it also streams domestic horse racing. All major payment methods are accepted with respective minimum amounts for deposits. Funds can be withdrawn by the same methods also. Fact is, horse racing punters will be thrilled to make BetStar their future choice. If you don’t find these enough, you can visit Centrebet, Tom Waterhouse, PalmerBet and Bookmaker to check out what else is in store for Australian punters. It all comes down to the ground reality, there’s no possibility of labeling a particular bookkeeper the best betting site. One makes their choice according to their personal preferences. What works for one person, might not work for you. The important thing is for you to find a site that does the right thing by you. Go ahead and make your choice, there’s no time to lose when you could be making some big bucks, right at this moment.